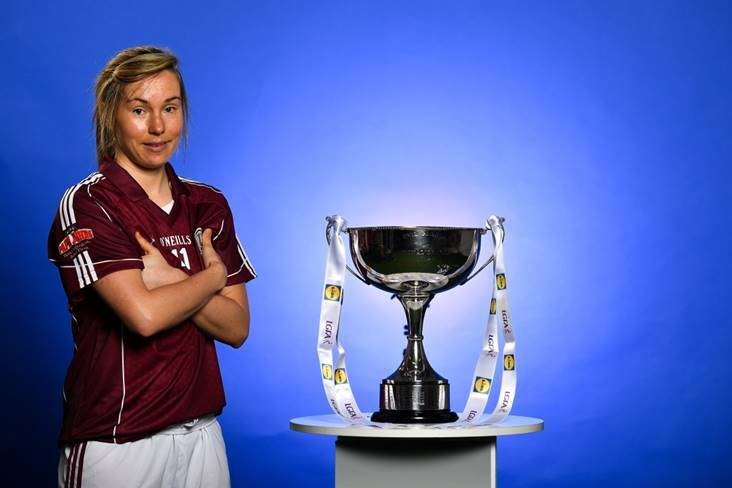 In attendance at the launch of the 2019 Lidl Ladies National Football Leagues at Croke Park, Dublin, is Tracey Leonard of Galway. In their fourth year of partnership with the Ladies Gaelic Football Association, Lidl Ireland are proud to announce various new initiatives and programmes to ensure even more participants at every level of the game reap the benefits of the sponsorship during 2019. The first new initiative, which is live as of today, will see Lidl Ireland invest €250,000 in a nationwide schools campaign where 159 post primary schools across the country will receive jerseys and equipment for their teams. Selected schools will then go on to take part in a brand new #SeriousSupport programme delivered by LGFA county level players which aims to show girls the benefits of playing sport both on and off the pitch. To nominate your local LGFA post primary school, simply log on to www.lidl.ie/jerseys today and enter the 10-digit unique code found at the end of your till receipt. Throughout the year Lidl Ireland will continue to run and introduce various new initiatives for the benefit of clubs and schools throughout the country. Photo by Brendan Moran/Sportsfile. Tipperary's hopes of upsetting an undefeated Galway side were dented significantly by a freak goal during the opening half of an entertaining Lidl Ladies National Football League Division 1 clash at Bansha on Saturday evening. The Premier County had just out-scored their opponents 1-5 to 0-1, recovered from the concession of an early goal to Leanne Coen and carved out a three-point advantage when a miss-hit Róisín Leonard free snuck in under Lauren Fitzpatrick's crossbar and tied the game in the 20th minute and helped the visitors into a 2-6 to 1-6 interval lead. Scorers: Galway: T Leonard 0-8 (6f), R Leonard 1-4 (1-0f), L Coen 1-0, B Hannon 0-1, L Hannon 0-1. Tipperary: A Moloney 2-5 (1-4f), R Howard 0-2, A-R Kennedy 0-1, C Kennedy 0-1. Subs: E Fitzpatrick for Maher (22), O O'Dwyer for McGuigan (37), R Daly for Lonergan (37), S Everard for Spillane (52), E Buckley for Fennessy (52), L Dillon for Condon (56).